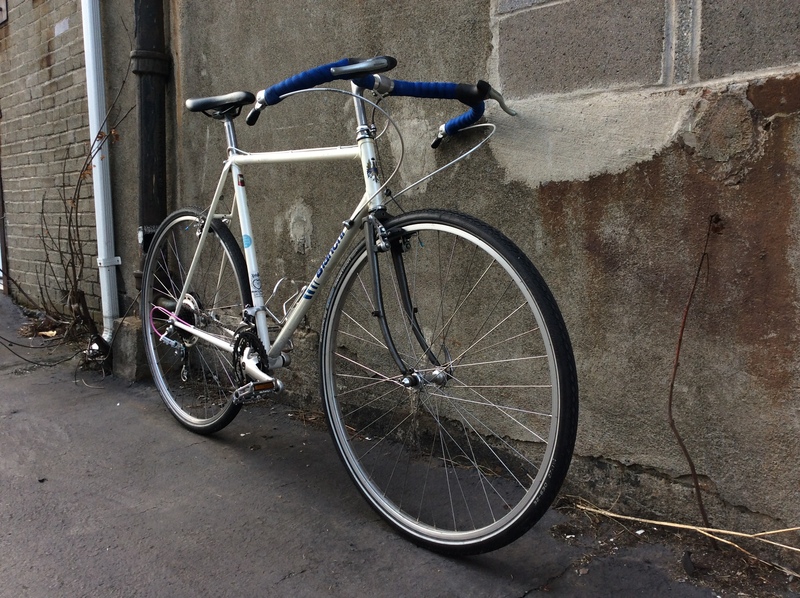 Casually sporty thanks to a Nitto mustache bar, this bike is ready for your commute or some weekend touring. 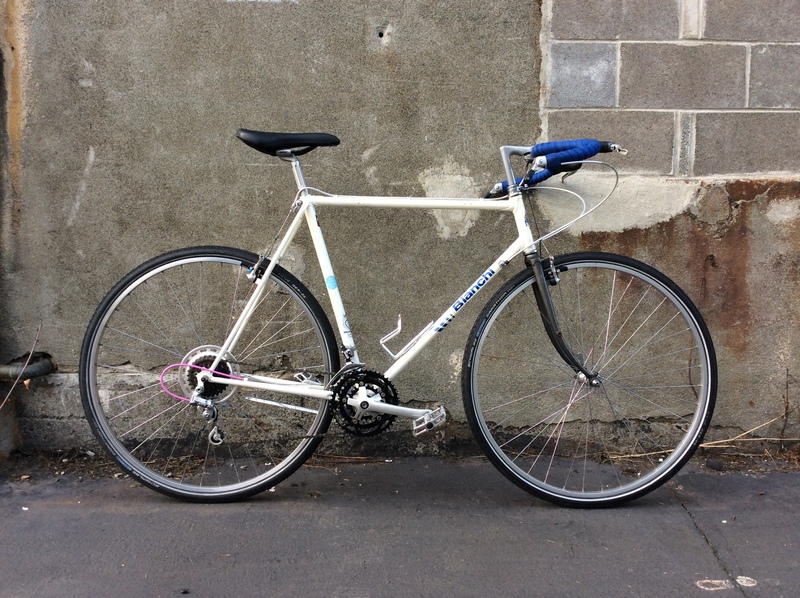 This bike has been refurbished by The Hub, boasting 18 speeds and classic parts like Suntour bar-end shifters with upgraded Schwalbe puncture resistant 27 1/4″ tires. Suitable for riders 5′ 11″ and up.